Hello warriors, Command Task is one of the GTO Test conducted in SSB Interview. Like other tests it is also a important test and a prior knowledge will be helpful in doing this task. In command Task, each student is made as a commander of one particular task. The tasks are allotted as per the merits of the candidates depending on the degree of difficulty. Those students who have been consistent and practical in performance are allotted difficult task as compared to other lots of candidates who have just been passengers when the task was being performed. The GTO gives an opportunity to each candidate by making him Commander of one task. GTO explains the task like PGT, HGT. After carefully briefing the candidates the GTO conducts the task serially or at random as deemed fit to conduct the students over the task. Each candidate made as commander, is permitted to call two of his sub-ordinates to help him over the task as helpers. These helpers, when called are not allowed to do anything without seeking permission from the commander. The commander is the ultimate authority to execute the task. Ideas utilized should be meaningful and practical. More number of complex ideas should be given to seek selection. Generally 15 to 20 minutes is utilized in completing the task. 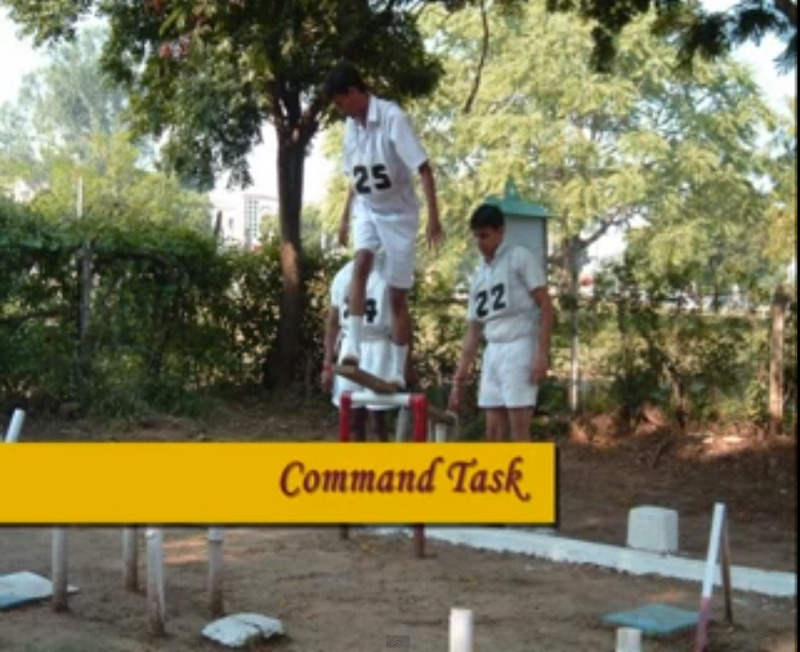 Command task (CT) is a part of the confirmatory series of the Group Testing Technique in SSB Interview. It allows the GTO to focus on an individual apart from the usual group formation. The Command Task (CT) is conducted on second day of the GTO series. The whole group is seated at a distant location away from the vicinity of the testing area. Each individual is then called upon one by one and given a task. The GTO now calls the individual in any numerical order and proudly makes him the ‘Commander’. He then exchanges casual talks and pleasantries to make the aspirant feel at ease. I will advice you not to say welcome words like good morning because you have already wished him in the morning. However if you feel its afternoon you can once say Good afternoon. Always keep your hands at the back and stand in relax while answering to GTO. In Command task you will be checked with suitability in two role. You are made as commander so be like that but don’t put your hands in pocket and just pass the orders. Your skill regarding men and material management will be judged. Make your subordinates work hard but you are also required to work; you need to work with team spirit. Cheer your subordinate and keep motivating them, praise their good work and also if you find they are not doing something accordingly then calmly point them and correct them. You must make full use of your subordinate but in a Gentleman’s way.